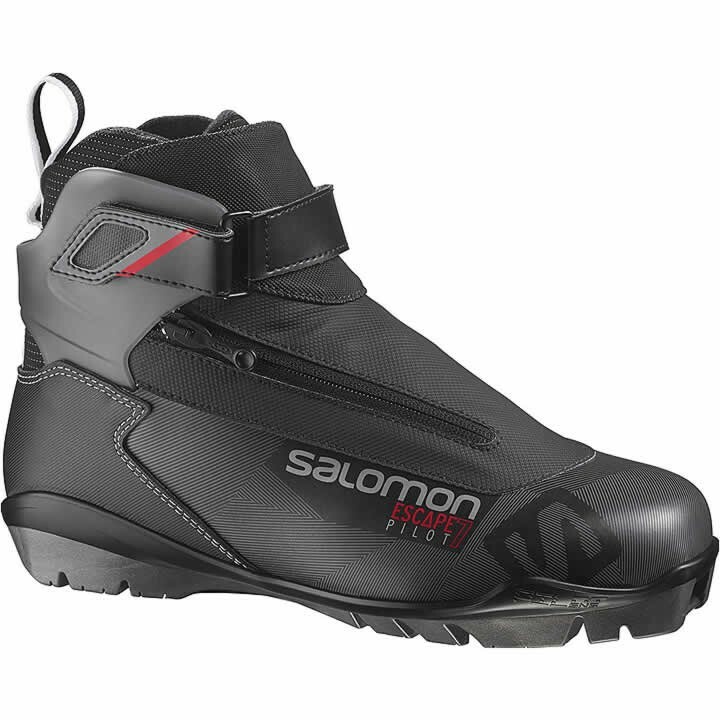 The Salomon Escape 7 Pilot CF is a confidence building touring boot with a supportive cuff, the control of the Pilot system and all-day comfort provided by Salomon's Custom Fit system combined with Thinsulate's warmth and easy adjusting from Quicklace. Salomon Touring Fit: Generous anatomical shape for maximum comfort and warmth. Does the sole of this boot have a 2nd pin in it? Yes. Pilot refers to the SNS 2 bar system.